Food security and nutrition forms the basis of our survival. In its most basic sense, food security and nutrition is where it all starts when a child is born. If a child does not have this kind of security then we cannot speak of a population. Zimplats would like to make it a point to applaud all farmers who attended the Agri-produce prize giving ceremony more so the Zimbabwe Agricultural Society for taking the time to recognise our farmers in the agricultural produce section who play a critical role in food security and nutrition in the country. As Zimplats, our business is the production of platinum group and associated metals. Our principle objective is to create and preserve shared value for our many stakeholders, including shareholders, employees, local communities, suppliers and the people of Zimbabwe, amongst others. With this in mind, we prioritise the need to contribute to economic development through our mining operations, we are cognisant of that this can only be done sustainably if we co-exist harmoniously with the communities surrounding our operations. The International Finance Corporation (IFC) published guidelines for sustainable and responsible mining in Africa. In these guidelines, reference is made to the potential of mining to make a positive difference to economic growth and poverty alleviation. Mindful of this obligation, our business aspires to operate responsibly and be counted among the mining companies that conduct business in a manner that provides opportunities for sharing of benefits such as creation of local content, creation of decent work, engages in community development while protecting the environment. We share the views of the IFC that mining companies that fall into this mould can help to build “more resilient communities and create and foster sustainable livelihoods”. We acknowledge that our business success is determined to a large degree by the way we conduct our business activities on a daily basis. Our way of doing things at work, is largely a manifestation of our corporate values of care, respect and deliver. Our value-driven consideration for the communities surrounding our operations has led us on a journey in which we walk in partnerships along a path of community development and empowerment initiatives. This journey has resulted in some exciting projects that are contributing to the development of sustainable livelihoods. Allow me to delve a little into some of these initiatives. In support of this sector of agricultural activity three years ago the company resuscitated several dip tanks and donated 16 pedigree Tuli and Bonsmara bulls and 64 bucks (goats) to the community as part of a genetic improvement project which sought to increase quality livestock populations in the area. The success of this project emboldened us to explore new opportunities to build on that successful experience. Early this year, Zimplats proceeded to invest in the national command livestock revitalisation programme based on artificial insemination of cattle in partnership with the Zimbabwe Agricultural Society. This project, as some of you may know was launched in Insiza, Matebeleland South which lies in agro-ecological region four and five which is dry and ideal for livestock farming compared to crop farming. The investment is expected to lead to the long term genetic improvement of livestock and to ensure communities can participate in commercial livestock initiatives at a national scale. The livestock revitalisation programme sponsored by Zimplats entails the creation of Livestock Incubation Centres in Mhondoro, Matabeleland North and Matabeleland South, where training in sustainable livestock rearing and crop production has already commenced. The programme is targeting impacting a livestock population of 3600. Four years ago, Zimplats completed the construction of a 30 500ML dam, Chitsuwa Dam on the Munyati River in Mhondoro Ngezi. While the dam is beneficial to our operations, we have seen the community benefiting to a large extent. We have seen community gardens thriving from access to enhanced water supply. We have also seen a growth in fishing activities which does not only enhance nutrition at a household level but it has created income generating opportunities. We continue to work with the community, the RDC and agricultural institutions of learning to explore further possibilities for agricultural activities on and around the dam. The projects outlined are ideas we have adopted from the community through various engagement strategies. When we listen to their needs, we plan with them and we deliver. As a corporate, our desire is to develop scalable models for sustainable development so that other members of the private sector can learn from what we have done and find ways to assist and support you as farmers in your quest to feed the nation. Through the show, we would like to commend the Zimbabwe Agricultural Society, for not only presenting smallholder farmers with a display platform but for also providing them with an opportunity to establish market linkages and to share success stories. As smallholder farmers, we are urging you to focus on developing world class produce. Many of us walk into supermarkets in Harare and sadly often the better produce in the shops is often imported or even exported. Often times you will find shortages of specific produce and this should not be the case in a country such as ours. We have adequate resources to ensure market demand is met and it is our collective responsibility to do what we can to feed Zimbabwe. As Zimplats, we remain committed to integrating mining and agricultural activities. 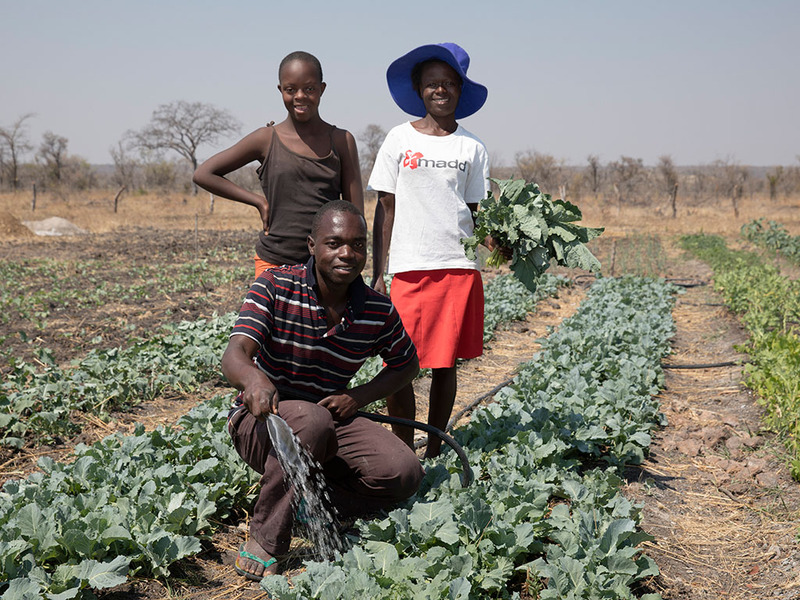 We pledge to render support to farmers in an effort to ensure enhanced food security and nutrition in Zimbabwe. We are committed to ensuring that mining and agriculture can thrive in harmony for the benefit of our country and its people.